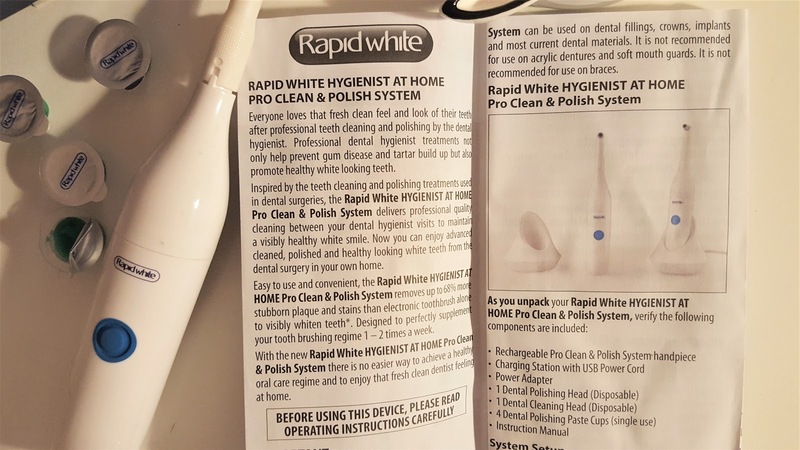 When I heard about *Rapid White Pro Clean & Polish System - an at home hygienist, which enables you to maintain a clean, white, healthy-looking smile - all in the comfort of your own home, I was sold! 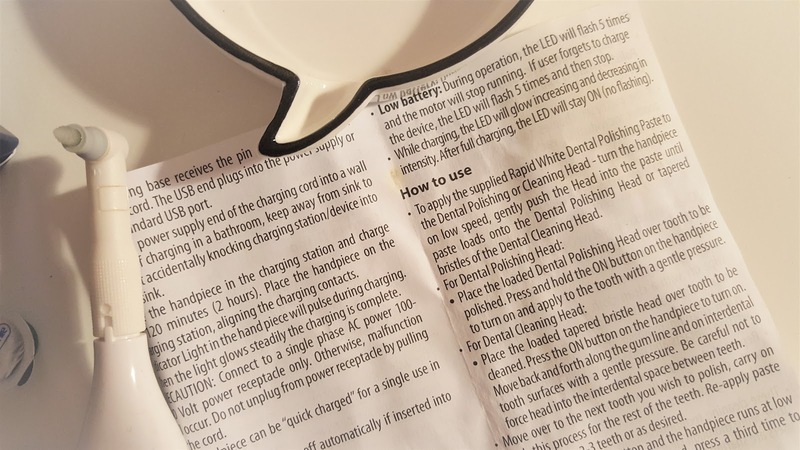 Everything comes in the box, the charger and the stand - the polishing cups, you basically have everything you need - and the Rapid White unit is light, so easy to take travelling too. This revolutionary system works to help lift stains and helps prevent tartar build up and maintain healthy gums and is scientifically proven to remove 68% more stubborn plaque and stains than an electric toothbrush. 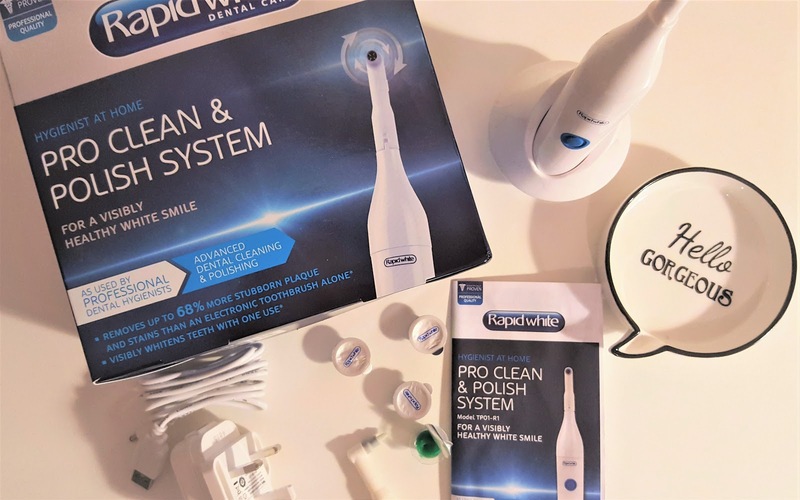 Inspired by the teeth cleaning and polishing treatments used in dental surgeries, the Rapid White Pro Clean & Polish System delivers innovative, professional quality cleaning between your dental hygienist visits to conveniently maintain results at home. 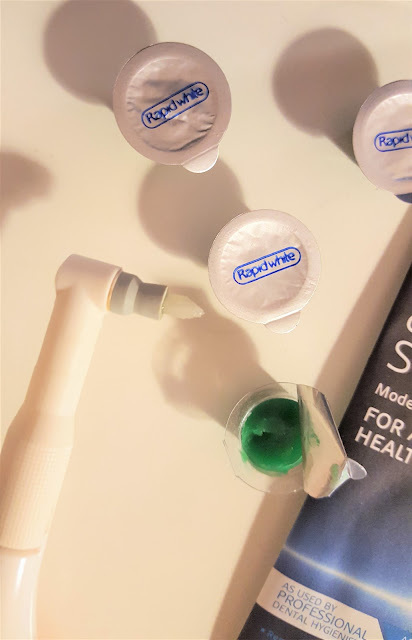 The system smoothly polishes away debris, and the 4 cups of paste in the kit enable you to use a small amount of product so everything you have in the box will last you quite a few treatments. 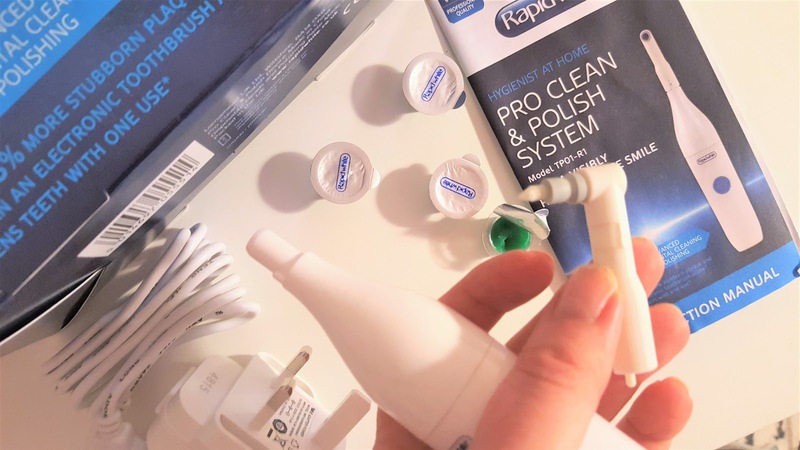 I loved the minimalist design of the Rapid White Pro Clean & Polish unit. The instructions for the Rapid White Pro Clean & Polish are easy. A charge of the unit lasts a while, the only thing that I missed was a case to carry the unit around in! I have noticed a different to the appearance of my teeth since using the Rapid White Pro Clean & Polish system. 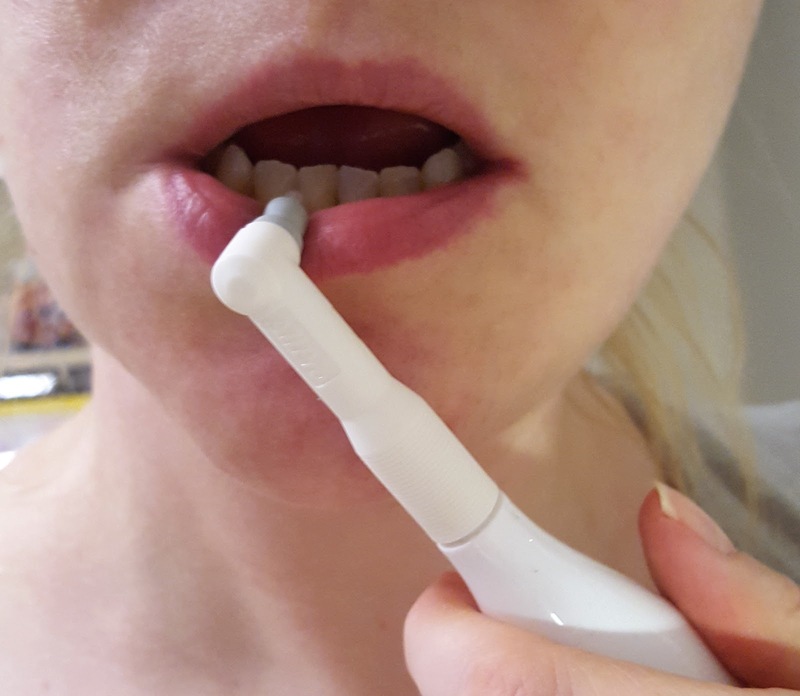 My teeth are whiter, cleaner and with less plaque build up. 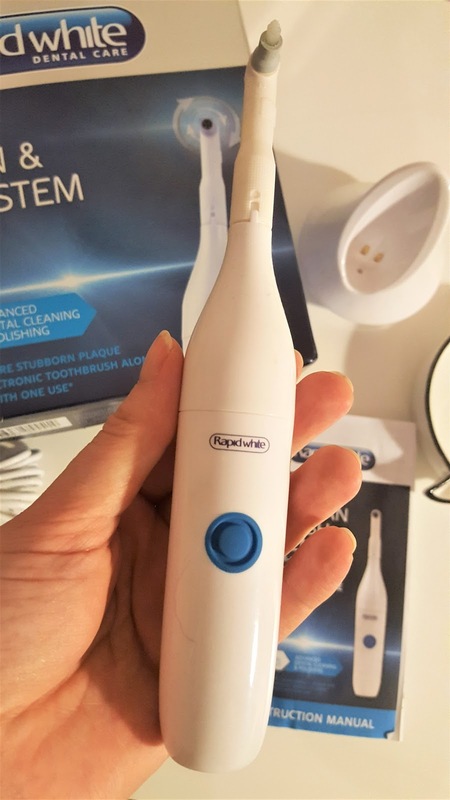 Have you used at home hygienist systems before? How have you found them? 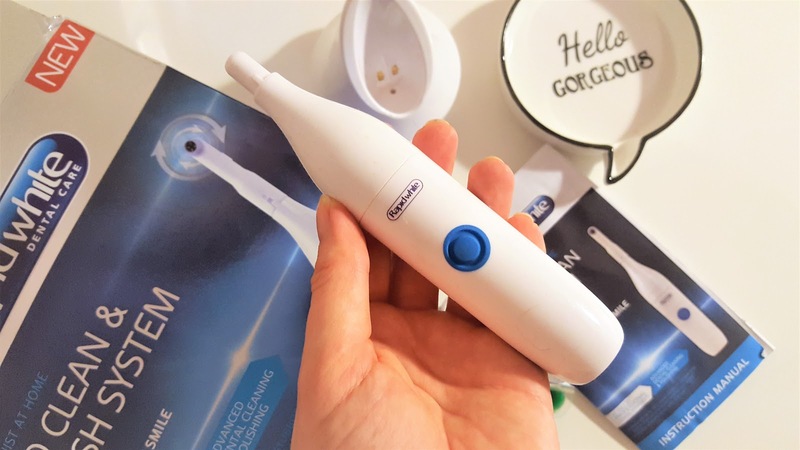 My next mission is teeth whitening! 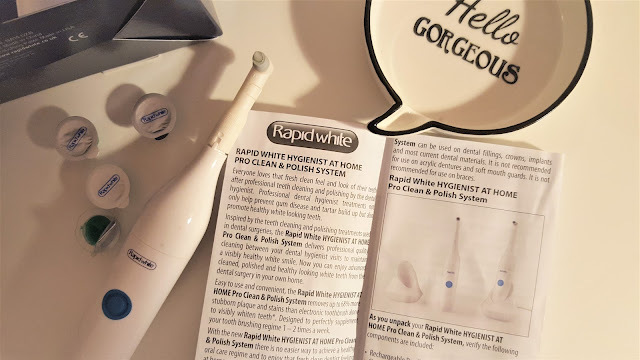 Rapid White Pro Clean & Polish is such a nifty gadget to have in your personal hygiene arsenal. It's discreet, light and easy to hold and like everything in life if you persevere with it, you will definitely see results. You can also visit the Rapid White brand shop 'Here' where you can view everything else from this fab company - from tooth whitening strips to toothpaste.